There are a lot of things to consider when buying or selling a home. But one factor that should be taken care of right away is getting your home tested for radon. Why is testing for radon important? Radon is a radioactive, cancer-causing gas that you cannot see, smell or taste. It is the second leading cause of lung cancer in the United States, and the risk is even higher for those who smoke. Radon has been found in new and old homes all over the U.S. In fact, almost 1 in 15 homes in the U.S. have radon levels that are too high. Homes in Nebraska and Iowa are at an especially high risk for radon since these states have some of the highest radon levels in the country. The only way to find out if radon is present in a home is through testing. 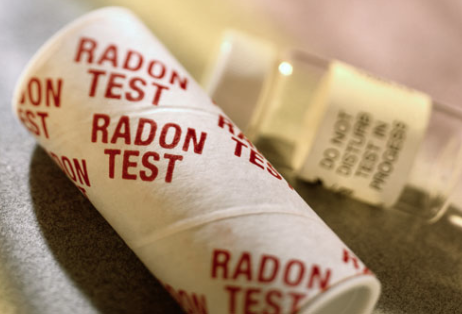 The U.S. Environmental Protection Agency (EPA) recommends testing the home for radon before you put it on the market. This gives you time to reduce high radon levels in your home (if they are found) so the sale is not put on hold. Additionally, having a radon-tested house will be viewed as a positive buying point for people interested in your home. Just make sure to keep the radon test results and information on the steps that have been taken to reduce radon in the home. When you find a house you’re interested in buying, make sure to ask the sellers for radon test results and, if applicable, information about the home’s radon-reduction system. If a test has not been done in the last 2 years, you should request that the house be tested. You can also request a new test to ensure that the home currently has safe radon levels if your local or state government requires that radon information be disclosed to homebuyers. If you’ve decided to build a new home, there are several features that can easily be included in your home’s design to reduce radon risks. We can help you figure out the best solutions to make your home radon-resistant with minimal stress and cost.